Dr. Chi is an internationally trained surgeon. He completed his fellowship in Facial Cosmetic and Reconstructive Surgery at the University of Toronto and at Toronto’s Center for Facial Cosmetic Surgery. Prior to this he completed his residency in Otolaryngology, Head and Neck surgery at the University of Western Canada where he received awards for his research. Dr. Chi has published articles in prestigious medical journals and has given talks at national surgical conferences on the use of BOTOX® Cosmetic injections for wrinkle reduction. 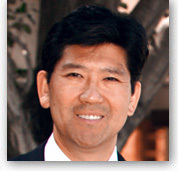 Dr. Chi is dedicated to continuously educating the public and his colleagues on the benefits of cosmetic surgery. “It can be a tremendous benefit for someone who is seeking to improve his or her own physical and psychological well-being. Although we could never stop the clock of aging, we can, with minimal risks, discomfort and down time, turn the clock back.” Dr. Chi considers cosmetic surgery to be an extension of natural health. “The purpose of cosmetic surgery is to enhance self-esteem, build self-confidence, restore a positive body image and increase a sense of personal well-being. This applies to both males and females, and to patients of all ages.” Although the specific aesthetic concerns may be very different between individuals, the final goals are similar. Dr. Chi takes pride in his meticulous manner of being thorough in his surgical approach, and is very experienced and knowledgeable in selecting the best procedures to enhance your appearance. Visit our plastic / cosmetic surgery offices located in Tracy, Dublin, and Walnut Creek, California (CA), conveniently near the San Francisco and Sacramento, CA area.